Singapore – November 3, 2014 – Cataleya, a wholly-owned subsidiary of the Epsilon Global Communications group, has deployed its Network Session and Application Manager Orchid One for Interconnect Clearinghouse Nigeria (ICN) and is supporting the delivery of Nigeria’s IP future. The Network Session and Application Manager combines the functionality of a Session Border Controller with increased control, intelligence and real-time automation. 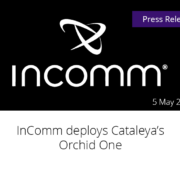 ICN has started migrating its TDM interconnects to IP and will use Orchid One to serve local and regional mobile operators and fixed-line service providers with intelligent IP connectivity. The Orchid One Network Session and Application Manager is specifically designed to enable the delivery of IP communications services and high-performance applications. It offers service providers full end-to-end quality of service and experience with visibility from the transport to applications layers, which is critical for the delivery of IPX-enabled infrastructure. Service providers using Orchid One can utilise this visibility to maintain or enhance network performance in real-time. After a successful trial period beginning in May 2014, Orchid One is fully operational within ICN’s network infrastructure. Orchid One was easily integrated into ICN’s billing system thanks to its built-in call detail record (CDR) reformatting module and is already managing interconnect traffic for some of Nigeria’s largest mobile operators. “Orchid One is a real differentiator for us in terms of quality and service visibility. 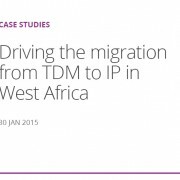 Our customers want to migrate their interconnects from TDM to IP and Cataleya’s Network Session and Application Manager provides a next-gen infrastructure that can interwork with legacy networks and scale while delivering real-time quality of service and experience which we found unique in the SBC market,”says Uche Onwudiwe, Chief Operating Officer at ICN. The partitioning capabilities of Orchid One will allow ICN to resell hosted services to Nigeria’s tier 2 service providers. ICN intends to develop its network across Africa beginning with West Africa, South, East and then North Africa. Orchid one will provide the proper SIP based infrastructure to ensure customers get the same service level regardless of where they connect to the network from. Interconnect Clearinghouse Nigeria (ICN) is a Telecom and Technology solutions provider licensed by the Nigerian Communications Commission (NCC) to provide and operate Interconnect Exchange Services and Mobile Number Portability throughout Nigeria. It is a highly reputable organization, known for its reliable and dependable services and is a third party that is not in competition with the operators and Value Added Service providers that it supports for subscribers. ICN is focused on the primary issues of adequate interconnect capacity between operators and service providers, prompt settlement of interconnect usage charges and provision of cost effective co-location space. ICN is in the best position to provide a lasting solution to Interconnection, Colocation and Number Management issues in the Nigerian Telecom Industry. This has been ensured by their putting in place the necessary infrastructure, technology and business processes for effective and efficient business solutions for their Clients.